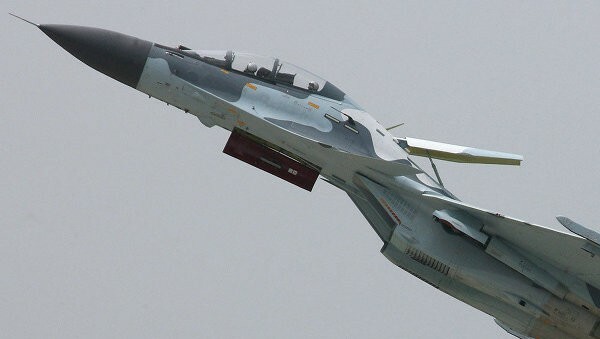 Uganda is in talks with Russian state arms export company Rosoboronexport over an option purchase of six more Sukhoi Su-30 multirole fighter jets, the company’s Deputy Director Alexander Mikheyev said on Friday at an arms exhibition in South Africa. Uganda signed its first contract to buy six Su-30MK2 fighters this year, he said. “Now, we are talking about an option, the Ugandans expressed interest in buying another six aircraft of this type,” he said. Rosoboronexport has also signed a contract to sell six Mi-17 helicopters to Ghana, he said. “We have signed a contract this year to sell six Mi-17s to Ghana,” he said. The first two aircraft will be delivered to Ghana in a year, he said, adding talks are also underway about setting up a helicopter service center in the region.